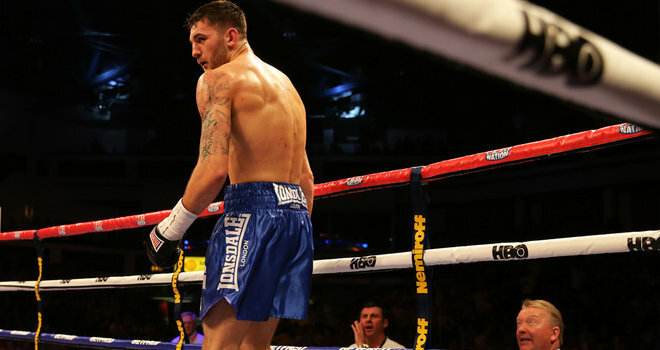 Nathan Cleverly's cruiserweight debut has been postponed again after he pulled out of his February fight with Illunga Makubu. Cleverly was due to face the dangerous Makubu in Monaco next month, but the fight has been cancelled after the Welshman suffered an injury. This is the second straight fight that Cleverly has withdrawn from as injury problems also forced him out of a clash against Daniel Amman in November. "He has sustained a minor injury and will not be fighting on Monte Carlo on February 1st and we are about to re-schedule a fight for him," said promoter Frank Warren. Cleverly is hoping to rebuild his career after his WBO light-heavyweight title was ripped away in a crushing knockout defeat by Sergey Kovalev in August. He decided to pursue titles in the division above, but must wait longer for his first fight in 2014.